its marketing expertise and creativity in conceiving and executing direct marketing and promotional exercises. This includes highly interactive promotional schemes, events and sales meets. The creative department also offers you innovative direct mailers and product display & promotion tools. 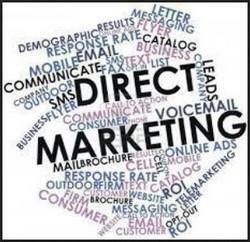 Direct Marketing Services SG Marketing knows that good direct marketing cuts through all the marketing noise and gets results when executed correctly. Unfortunately some companies are sidetracked with unproductive marketing tactics. We′ve bombarded the consumer with so many brilliant ads on traditional media like television and print that he′s glued to his seat. So the problem then is, despite creating path breaking adverts, you′re not able to get the consumer′s attention. The solution to your problem then is - direct marketing. Direct Marketing / Door to Door Marketing. 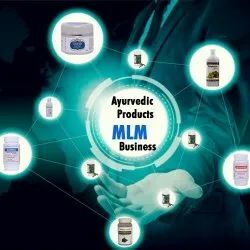 We manufacture Innovative and latest products for MLM companies in the below forms.1. Capsules2. Tablets3. Powders4. Tonic/Juices5. Oils6. any other innovative form.PS. All products are made in GMP and USFDA registered unit with approval from Ministry of Health only. We offer our clients Tactical Trade Help desk Services. These services help client in their business. A dedicated team of well trained and motivated professionals with great interpersonal skills constitutes E-Focus’s Service Desk. Technological knowledge and hands-on experience of our team ensures following benefits to our clients. To facilitate effective visibility and positioning of a brand, Bijan crosses all geographical barriers for in-depth market research through a well managed task force, which dives right into the core of market and digs strategic report on all concerned aspects regarding the brand. Direct one-on-one marketing can generate unique results. Impact specializes in developing targeted communications to relevant groups, ensuring a high return on investment. Our Direct Marketing tools include traditional and innovative Direct Mailers, Newsletters, Catalogues, and Direct response Ads, E-mail Marketing and Online Banners. Direct marketing messages emphasize a focus on the customer, data, and accountability. Hence, besides the actual communication, creation of actionable segments, pre- and post-campaign analytics, and measurement of results, are integral to any good Direct Marketing campaign. - Direct Marketing revolves around acquiring knowledge about customers and prospects and then deploying it effectively. - Where General advertising is concerned with building an image or creating an awareness of a product over the long haul; Direct Marketing is concerned with generating an immediate, tangible response either an inquiry or an order.